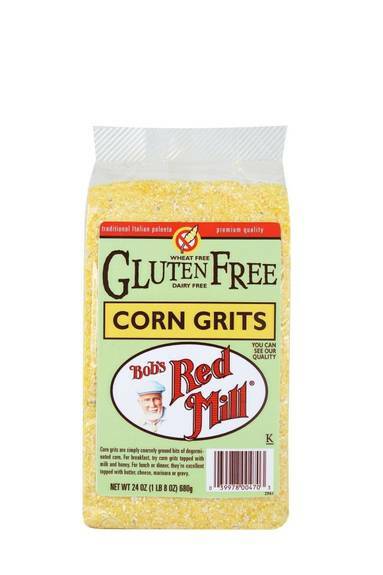 Bob's Red Mill Cereals, Polenta Corn Grits Are Simply Coarsely Ground Bits Of Dried Corn. This Naturally Wholesome Polenta/corn Grits Are Gluten-free, Kosher, Wheat Free And Dairy Free. Polenta Is A Good Choice If Youâ€™re In The Mood For Traditional, Simple Italian Food. For Breakfast, Try Corn Grits Topped With Milk And Honey; For Lunch Or Dinner, Theyâ€™re Excellent Topped With Butter, Cheese, Marinara Or Gravy. Each Bag Of Bob's Red Mill Cereals, Polenta Corn Grits Contains 24 Oz. Of Product. See Nutrition Facts Panel For Allergens.